“…and you will find the nearest of them in affection to the believers those who say, “We are Christians.” That is because among them are priests and monks and because they are not arrogant.” – Qur’an 5:82. ISIS, or IS as it now calls itself has earned a notorious reputation for the blood letting it’s members thrive upon. Reports of threats and abuses towards Christian minorities and the Yazidi minority have captured the hearts of co-religionists worldwide. There will be many victims of IS’ wanton disregard and care for human life, but the greatest victim of all would be Islam and its adherents. This understanding has not yet manifested itself in the hearts and minds of those willing to condemn the violence. The problem therefore, is that the greatest victims of IS have been overlooked, forgotten and disregarded. If we are to truly care about the victims afflicted by the violent plague of IS, then surely we must also be concerned about the Muslims who have to live among them, live under their rule and give allegiance to a leader they were forced to accept. We must remember, that IS’ new state is based on primarily Muslim dominated lands, towns and cities. This would lead us to understand that a vast majority of the bloodshed is occurring in Muslim lands, towns and cities. 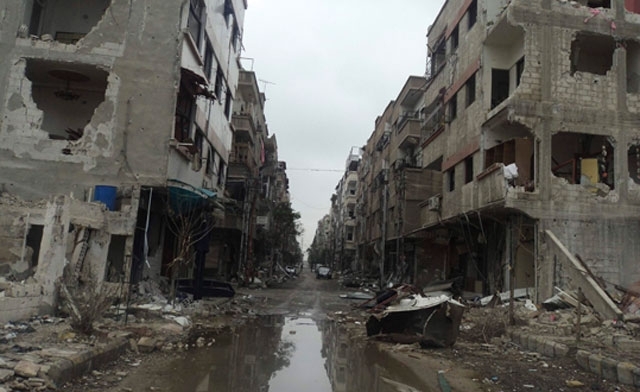 There homes are no longer safe for them, as entire towns and cities become battlefields for the foreign fighters against the governing forces. Everyone seems to understand the plight of the minorities in the conflict, but not the main victim themselves. This is troubling. If we are to care only about minorities, then can we say that we truly detest persecution? President Obama authorized bombing raids when the Yazidis were being massacred by IS, yet did nothing while IS violently rampaged through Iraqi and Syrian cities. The problem persists in part because those in the West see the Iraqi infighting as sectarian violence and so those Muslims living in Iraq are the cause of the problem. This however, is trivializing the issue. Muslims are not the problem, Muslims are the victims of the problem – an insurgency fostered by a failed Iraqi war led by NATO forces. This though, is not merely my opinion but the opinion of US State Department Officials, US Military Strategists and the journalists who have been following the war since its inception – as documented in this PBS Frontline Report: LOSING IRAQ. Former Secretary of State, Hilary Clinton directly blames the Obama administration’s foreign policy for the devastation now raging throughout Iraq. Saleel wa Sawarim – the IS movie depicting andvideo logging their militant endeavors to spread their state, demonstrates the violence towards fellow Muslims, regardless of religious beliefs that they are willing to undertake in order to achieve their goals. Video clip after video clip gives us just reason to state that Muslims are IS’ greatest victims. Whether their deaths come through drive by shootings, martyrdom-suicide operations, mass executions or sniper fire – the fact remains that the most amount of blood being spread is by that of Muslims. It’s not Christian armies, NATO armies or Yazidi armies that are committing soldiers in the fight against IS, rather it is the Muslim Sunni Tribes who are placing their lives at risk to protect themselves and the religious minorities being persecuted by IS. Therefore, it should not be said that Muslims are the cause of IS or that Islam is to blame, when the truth on the ground is that the only peoples to commit troops to the cause are Muslim Sunnis. We should not condemn Muslims as terrorists, rather we should praise the efforts of the Muslims who are not complicit in IS treachery but are fighting them, one battle at a time. Polemicists and Evangelicals far too often misconstrue the use of Bart Ehrman’s materials by Muslims. The record needs to be cleared, because somewhere along the lines of inter-religious discourse, Bart Ehrman’s works are quickly becoming the pinnacle of Evangelical appeals to scholastic authority. Muslims do not use Bart’s works because of his views, which most Evangelicals would consider liberal to say the least. His agnosticism being based upon his views on evil do not translate well into Islamic belief about God, the fact that he left Christianity for agnosticism is not an Islamic ideal. So why do Muslims use Ehrman’s works? The answer is quite less controversial than one would be looking for – he writes for mass market appeal. He isn’t writing books for use in a theological seminary, or for his academic colleagues, he’s writing it for the Divergent series reader, the Harry Potter reader, the whatever-is-popular-on-NYTimes’-best-seller-list reader. In other words, he’s writing for the casual reader who may be interested in Christ or the Bible. I’m not saying scholars don’t read his works, they do, and I’m also not saying that some Universities don’t use his books in courses, they do. What I’m saying is that those people aren’t his target audience, but the level of scholarship dedicated to his authorship means that his works can scale easily into the hands of the layman, the University student or a scholar. The vast majority of Muslims don’t have any reason to bother themselves with understanding Christian teachings. Just as the average Christian isn’t going to dedicate their time to reading the entire Seerah an Nabawiyyah or Qasas ul Anbiya. For the Muslims who are interested in understanding the Christian faith, they are most likely to find his books accessible and easy to read, as well as understand. It takes almost no effort to find his books, they’re readily available in most bookstores, you don’t need a study guide or teacher to walk through his books with you, it’s easy to just pick one up and understand what’s written inside of it. There’s no secret that this is the honest answer as to why Muslims use Ehrman’s works. If we consider the popular works of other Christian authors, which one of them has the mass appeal and ease of use as any of Ehrman’s works? How many Muslims are going to come across something by Immanuel Tov, Raymond E. Brown, K. and B. Aland? 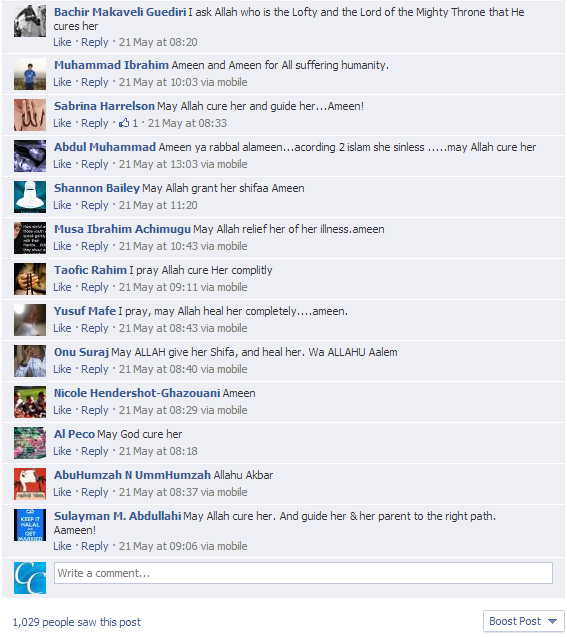 How many Muslims can sit and read E.P. Sanders’, “Paul, the Law and the Jewish People” and find it comparable in ease to Ehrman’s books? How many Muslims will even know his name? Not very many, not very many at all. Therefore, I find it quite funny to see some Polemicists and Evangelicals placing Ehrman on a pedestal of everything wrong with liberal Christianity or of critical Christian scholarship simply because Muslims read his works. If there was another Christian scholar that wrote on the same topics, with a similar writing style and ease of reading, Muslims would also purchase that work – but there simply is no other person doing this, so Ehrman is the go to guy in this case. There are some in the inter-faith dialogue community who condemn Muslims for being hypocritical for accepting some views of Ehrman and not all of his views. Why should Muslims accept all of Ehrman’s views? His views aren’t part of Islamic teachings, and if he writes something that is somehow related to Islamic teachings and some Muslims want to adopt those views because of a correlation, then they are free to weigh which views are acceptable and which aren’t. Rejecting some of his views is part of the critical thinking process, it is far too infantile to generalize Ehrman’s views and dictate that Muslims must either accept them all or reject them all, that’s clearly an appeal to the fallacy of a false dichotomy. There is a third option, weigh what he says against Islamic beliefs and use them accordingly. 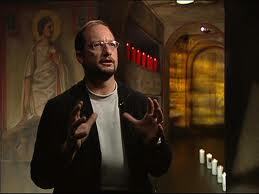 In conclusion, Ehrman is not the be all and end all of information on Christianity. 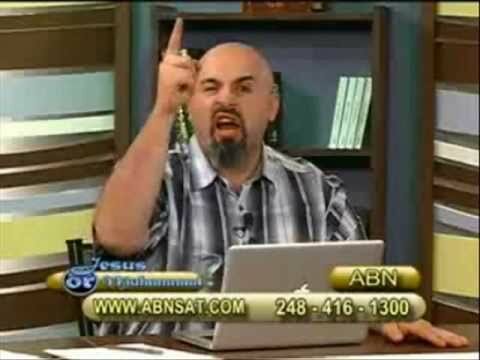 He certainly isn’t for me, but his views, especially on the Bible’s preservation are shared by vast portions of the textual criticism community, even if Muslims had to disregard anything written by Ehrman there is still quite a significant array of literature and authors who agree with him that we can learn from. Therefore, we say to those who condemn Muslims for reading his works, it’s silly to focus on the man behind the work, the real problem lies with the information he makes accessible to the Muslim community, the Christian community and to the larger public. So, focus on dealing with the information and not the person. Far too many Evangelicals and Polemicists are zealous in their abuse of Muslims for reading his works, when most of them are unaware of what his works actually contain. What a sad state such people are in. 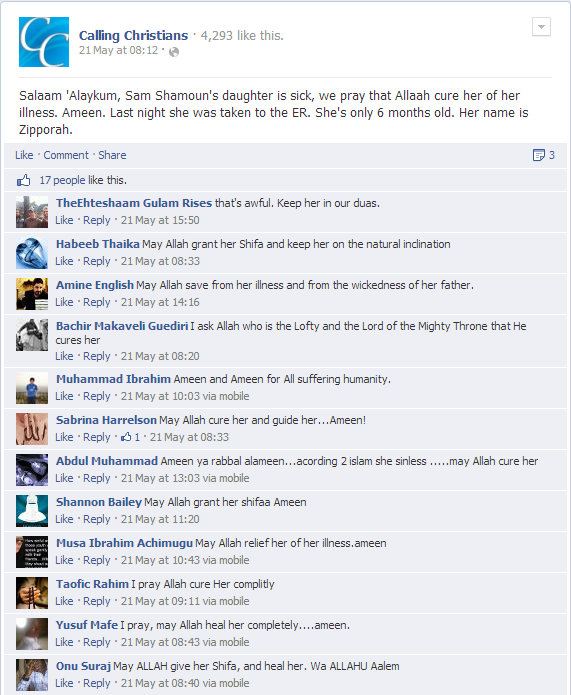 Da’wah is more than writing articles…. And We have not sent thee except as a mercy unto the Worlds. – Qur’aan 21:107. For security and privacy purposes my name has been crossed out. 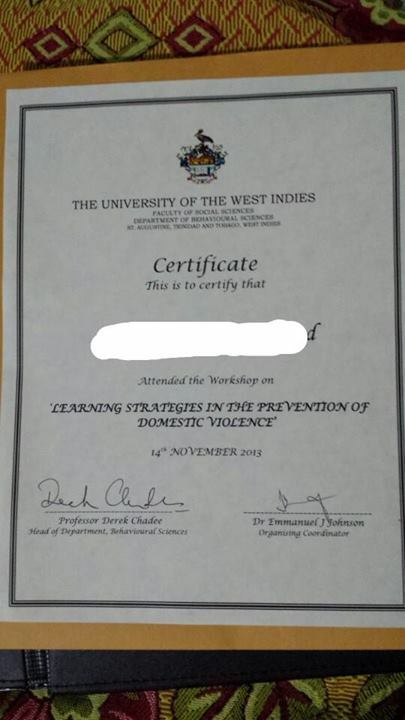 I intend to use this certificate as I become more active in the Muslim community and as I take upon the responsibility as a peer counselor at my University. As a Muslim, it is my responsibility to love, care and protect my fellow brothers and sisters in the world, from any harm or ill will. Remember, da’wah and islah isn’t just to speak kind words or produce new arguments, we do da’wah and islah because we want to benefit mankind and make a lasting change in the lives of people everywhere. Br. Ijaz can be contacted through this link, all discussion is kept private and confidential. Nour Domestic Violence Website and Facebook Page. Imam Abdullah Hasan who is part of IADA. If you live in Trinidad, call 800-SAVE and ask to speak to someone at Madinah House. If you live in Trinidad, call the Darul Uloom and ask to speak to Shaykh Fazeel. If you live in Trinidad, you can speak to Imam Hisham Mohammed of the Santa Cruz Masjid. Many right-wing political analysts as well as anti-Shari’ah supporters have jointly promoted the Kenyan Mall attack, as an attack by Muslims on an innocent civilian population. However, a careful study on the attack and on Somalia’s long fought civilian war, paints a much different picture than a prima facie analysis by pseudo-intellectuals who only seek to drive their own popularity based on the abuse of fear and emotion (argumentum ad baculum). The Somalian issue which has birthed a great humanitarian and economic crisis in the African continent. Untold numbers have been massacred, and the added pain of piracy has forced the African Union and Somalia’s neighboring countries to enter into the Somalian civil war. Somalia’s political crisis did not begin last year, it began in the year 1960 when the Italian and British Somalilands were combined to form a new independent nation. The borders however still existed, the North and the South, the British versus that of the Italian communities. Removing a border line on a map and telling two separate and distinct groups of civilization with fundamentally varying ideologies (democratic-capitalist versus socialist-communist) and forcing them to live together paints a very hazardous image. A rebel coup by a socialist general plunged the decay of Somalia into a fast paced mode on the road to destruction – an eventual clash of civilizations that has persisted to this day, some 23 years later. Given that a significant majority of Somalis are Muslim, or practitioners of the Islamic faith, it therefore becomes highly irresponsible to paint every Somali as a terrorist or as a member of al Shabab. Furthermore, it can be understood that the infighting in Somalia is clearly a political issue to gain control of territory and to exercise power over the fragile populations. Seeing as Shari’ah was already designated by the constitution to govern most of Somalia, it’s quite erroneous to claim that the political factions have been fighting to establish it, as it was established in 2006 and ratified in peace and coalition deals in 2009. Somalia’s al-Qaida-inspired al-Shabaab rebels said the carnage at the part Israeli-owned complex was in retaliation for Kenya’s military intervention in Somalia, where African Union troops are battling the Islamists. Some 160 Somali religious scholars have issued a fatwa denouncing al-Shabab, saying the group had no place in Islam. Correspondents say it is the first time Somali religious leaders have come up with a fatwa against the group, which controls many rural areas. At a conference on the phenomenon of extremism in Mogadishu, the scholars said they condemned al-Shabab’s use of violence. Despite being pushed out of key cities in the past two years, it still remains in control of smaller towns and large swathes of the countryside. One of the aims of the conference was to issue Islamic opinion on whether the group had legitimacy or not, with the final fatwa concluding that it is not an Islamic movement, Sheikh Hassan Jaamai told the BBC. “It’s like a gang that comes together to kill Somalis… without any legitimate reason or justification,” added the Islamic scholar, who flew over from the US to take part in the conference. 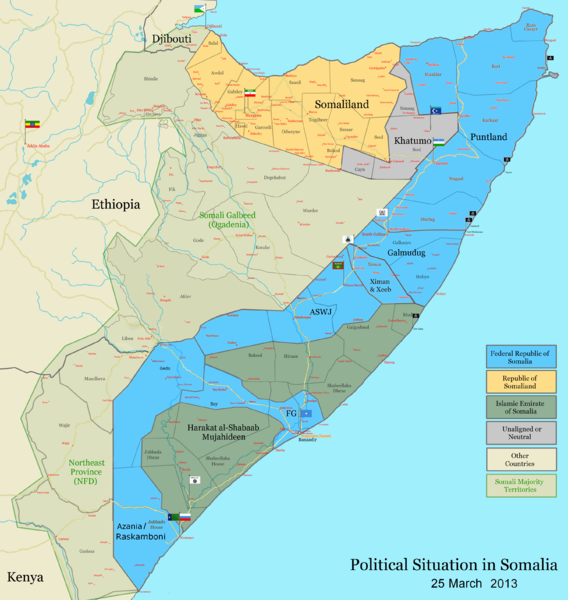 The political mess that is Somalia, has been birthed by the ideological boundaries created in Europe, imported to Africa, developed by the Somalians and has for the time being, culminated in a region wide war that will persist, given the militant tendencies of the various factions fighting for their independence and right for self governance in the Horn of Africa. A responsible and intelligent individual, will not paint all Africans as violent thugs, nor all Muslims or Somalians as terrorists, as the evidence demonstrates facts to the contrary. If the LRA (Lord’s Resistance Army), a Christian led militant organization can be held to be an unChristian movement by Christians and accepted as such by right wing political analysts, why can’t the Shabab be seen – as it has been declared by the majority of Somalians as an unIslamic group, threatening the religion of Islam? The scourge of the earth…. I’ve been told though, that Muslims are giving charity to the poor and needy to convince them of implementing Sharee’ah on their behalf. Apparently, the Muslims have a secret agenda, the more financially stunted persons they aid, the more they dig their claws into the fabric of society, thus making their extremism seem ‘normal’.